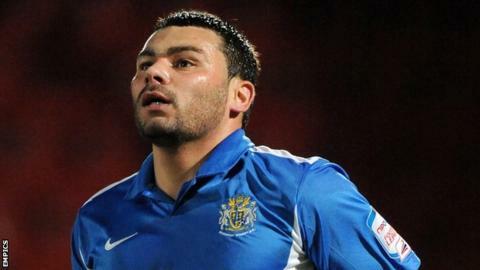 Grimsby Town joint-manager Rob Scott says he is disappointed that Anthony Elding has requested to leave the club. The 30-year-old has scored twice in nine appearances this season but did not feature in Friday's win over Luton. "He's put in a transfer request but we're not prepared to just let someone go without getting reinforcements in," Scott told BBC Radio Humberside. "Players who are contracted to this club have to abide by that. It's disappointing but it's his choice." Scott added: "We've said all along we want a good squad because you can't just get along with the same 11 all the time. "It's about being patient and when you get your opportunity you have to take it." Elding joined the Mariners from Rochdale in July 2011 and has scored 14 league goals in 52 games. Meanwhile, Scott revealed that midfielder Louie Soares, 27, is likely to leave the club on loan.